ALL NEW! 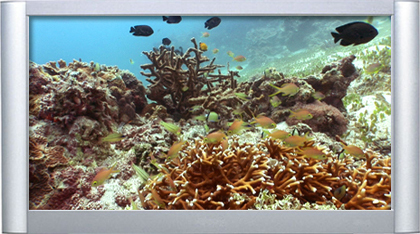 Turn ANY TV into an Exotic Coral Reef with the new Plasmaquarium 2 - Ultra Coral Reef DVD! We sent our award winning Plasma Window cinematography crew deep off the coast of the Philippines to one of the world's most spectactular Coral Reefs: Panglao on Bohol, amongst Asia's second largest Coral Reefs. 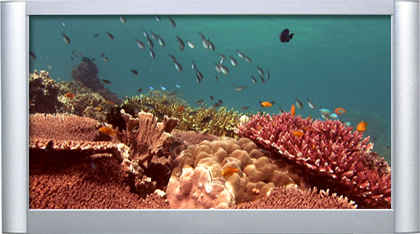 The Plasmaquarium 2 - Ultra Coral Reef DVD features hundreds of exotic fish, including dozens of species in ELEVEN different Coral Reef scenes. YOU ASKED FOR IT! After producing the best selling original Plasmaquarium DVD, we received many requests from our customers for a sequel DVD. 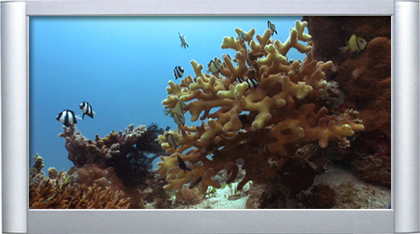 We've incorporated many of your valuable ideas into the new, Plasmaquarium 2 DVD. 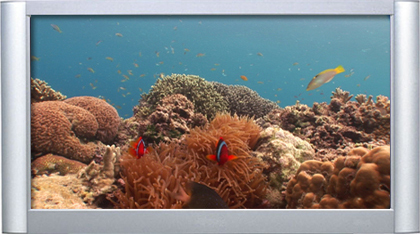 There are now more underwater scenes, and each incredible scene gives a wider and more panoramic perspective of each reef. 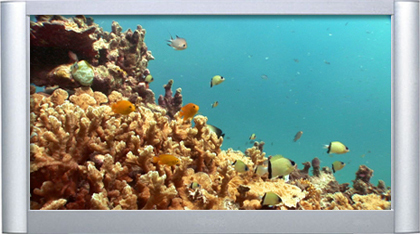 The spectacular widescreen images were captured on a Sony 1080i professional High Definition camera mounted in a special underwater housing, producing images with rich color and excellent depth of field. 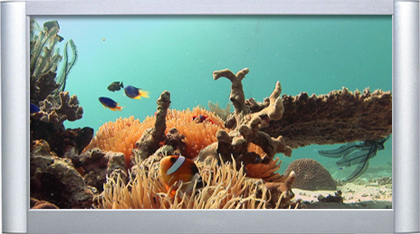 Relax to the serene scenes of exotic fish in their natural habitat as a gentle current moves through each Coral Reef. 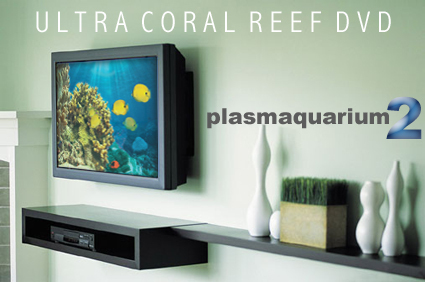 Perfect for showing off those larger TVs, the Plasmaquarium 2 DVD features spectacular panoramic vistas of some of the most beautiful Coral Reef communities. 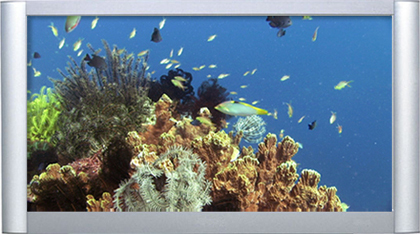 While the Plasmaquarium 2 DVD is mastered in widescreen format, it will work on ALL non-widescreen TVs without stretching the picture or adding ugly black bars to the tops or sides of the image. Select from a calming "Relaxation" soundtrack or a natural bubbling water soundtrack mastered in Dolby Digital surround. 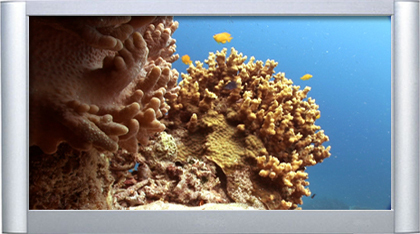 The Plasmaquarium 2 - Ultra Coral Reef DVD is the perfect way to turn ANY TV into a spectacular coral reef. Once played, the DVD will loop indefinitely until the user presses stop, providing hours of entertainment and relaxation. 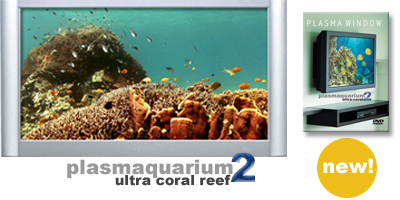 The "Plasmaquarium 2™ Ultra Coral Reef DVD" is available now! 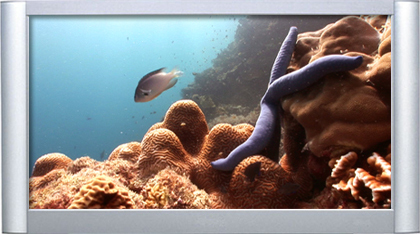 This DVD contains some scenes with floatng particles or brief light reflections, which are part of any natural Coral Reef.